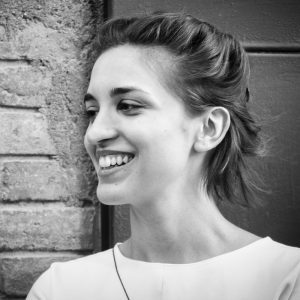 Efilena Baseta is an architect engineer, studied in the National Technical University of Athens (NTUA), with a Master degree in Advanced Architecture from the Institute for Advanced Architecture of Catalonia (IAAC). Her interest lies in exploring material behaviors, physically and digitally, in order to create real time responsive structures. Since 2014 Efilena is a partner of Noumena, an experimental architectural practice based in Barcelona. She has led several workshops internationally and also has been part of the design and coordination of exhibitions related with technology, such as the “Pavilion of Innovation 2015” and “In3dustry”. During 2015-2016 she collaborated with IAAC as the coordinator of the Visiting Programs and tutor of the Global Summer School 2016. She is currently an innochain PhD candidate in the Institute of Architecture at the University of Applied Arts Vienna on the topic of Simulating Anisotropic Material.